The display in the shop is worth a visit just for some creative contemporary Christmas ideas and to get you into the seasonal spirit. There is also a chance to join in our festive Spot the Bauble treasure hunt and be in with a chance of winning a voucher worth £50. Gallery 2, Town Hall Galleries, Ipswich. Click here for more information about this years summer exhibition in Aldeburgh. Deadline for applications - 4th June 2103. The Suffolk Craft Society's Annual Christmas exhibition again comes to Ipswich. A feast of affordable and unique gift ideas, jewelery, ceramics, glassware, textiles, prints and much, much more. For the very best in design-led contemporary crafts in East Anglia visit Gallery 2 for that original, one-off present. Emma Buckmaster, etcher, welcomes you to her studio to see her etching press at work and gain insight into the skills and techniques used by an innovative, contemporary printmaker. Making It, is an initiative by the Suffolk Craft Society offering recent graduates the opportunity of support in bridging the gap between education and the market place. 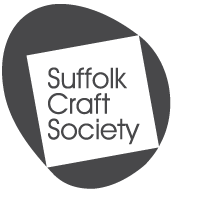 The award offers successful applicants a two year period of membership to the Suffolk Craft Society. During this period participants will have access to Exhibition and Gallery selling opportunities, a supportive network of fellow professional artists/makers, the Friends of the Society and promotion through the website. • A high standard of design, originality, execution and presentation. • Applicants who are in the situation to be productive enough and show the professional will to take full advantage of this opportunity. Applications and enquiries are to be made by email. For further information download the Award Information file below.  To make an application download the Award Application and save it to your computer. Open the application form from your computer and complete the application, then attach the application and four jpeg images of your work to an email and send it to makingit@suffolkcraftsociety.com. The 41th Annual Exhibition of the Suffolk Craft Society opened on Sunday 15th July at the Peter Pears Gallery in Aldeburgh. This is the annual showcase for members to show their most recent work. An open submission exhibition was held at Gallery 2, Ipswich starting June 22. Open to students, amateurs and professionals. Applicant must be 18 or over and live in Suffolk. The Friends of the Society organised another popular studio visits to see potter Ursula Stroh-Rubens at work.